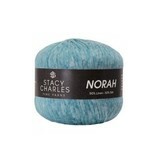 The fabric swing and drape that you get as you knit with Norah yarn by Tahki Stacy Charles is awesome. The fiber blend of linen and silk spun into a chainette construction makes the linen fibers bloom. The muted palette is a stonewashed effect that is truly unique. 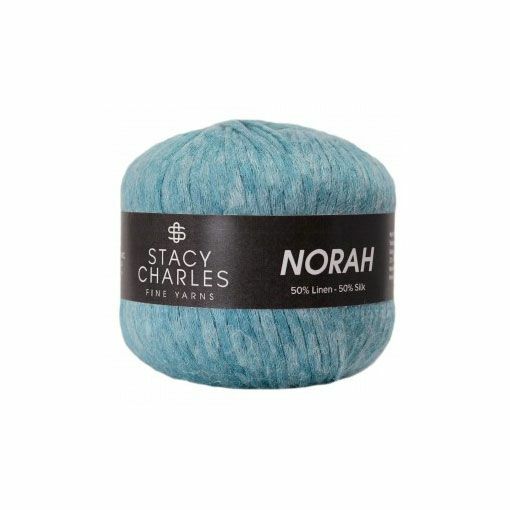 This chunky yarn will work into a lovely tank, cardigan, shawl or all weather cowl or scarf.